Lodessa Latimer (nee Hall) daughter of Clyde Taylor Hall and Joshua Hall was born in Camak, Georgia on August 29th, 1940. She moved to Cleveland, Ohio where she remained a strong love as a faithful member of Church and her family. 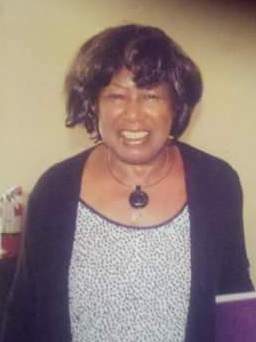 Lodessa attended Cuyahaoga Community College and then worked as a Social Case Worker for 30 years for the Lorain County Human Services up until her retirement. She leaves to cherish her memory her children, Barry, Carlos and Spencer; daughters-in-law Regina and Vanessa; grandchildren Anisha, Britney, Octavia, Kyle and Lourdes; brothers and sisters, John T Hall (JT), Gladys Brown, Sylvester Hall and Gloria Ivey and the late Willie Frank Hall, Mary Lewis, Lester Hall and Kate Grissom and a host of cousins, nieces, nephews and friends. Missing you, I know you are at Peace. Lodessa, miss your smiling face. Here is a message from me to you “vrooommmm”. Keep smiling until we meet again. love you, Dale. Grandma! I love and miss you. Every time I’m out shopping I think about you. Such great memories and life lessons you taught me. I’ll see you again.